The Waterfowl Conservation Workshop is a three-day seminar for zoo and wildlife professionals and students. 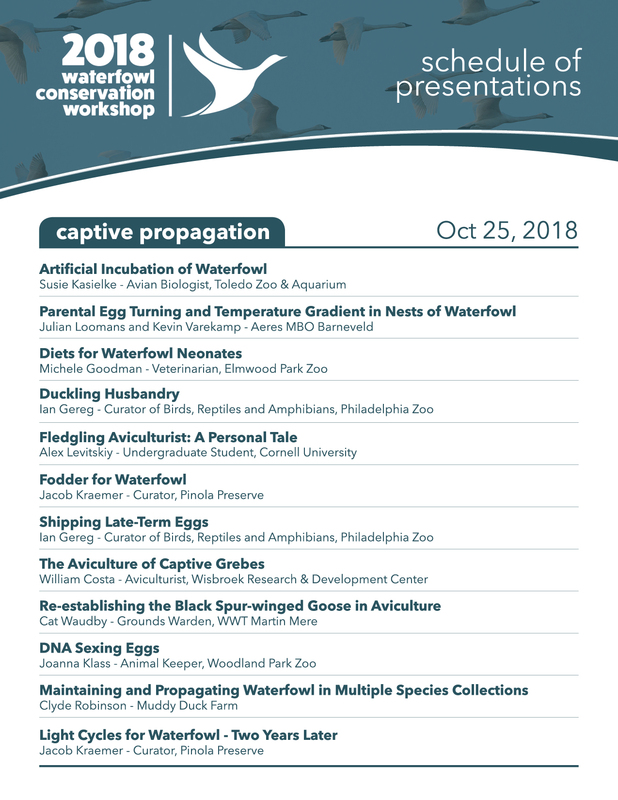 The workshop provides a unique forum for the discussion of waterfowl husbandry, conservation, research, veterinary care, and other relevant topics. We’re excited to present a preview of some of the great presentations scheduled for the first two days of the workshop! Thanks to our generous sponsors, financial assistance is available to help eligible attendees cover travel expenses for the 2018 Waterfowl Conservation Workshop! To apply, please complete the application form and follow the submission instructions in the document. Registration for the 2018 Waterfowl Conservation Workshop is now open! Please click here to reserve your spot through Eventbrite. We’re also still accepting applications for presentations! If you’d like to present your work in waterfowl conservation, research, aviculture, or other relevant topics, we invite you to apply. 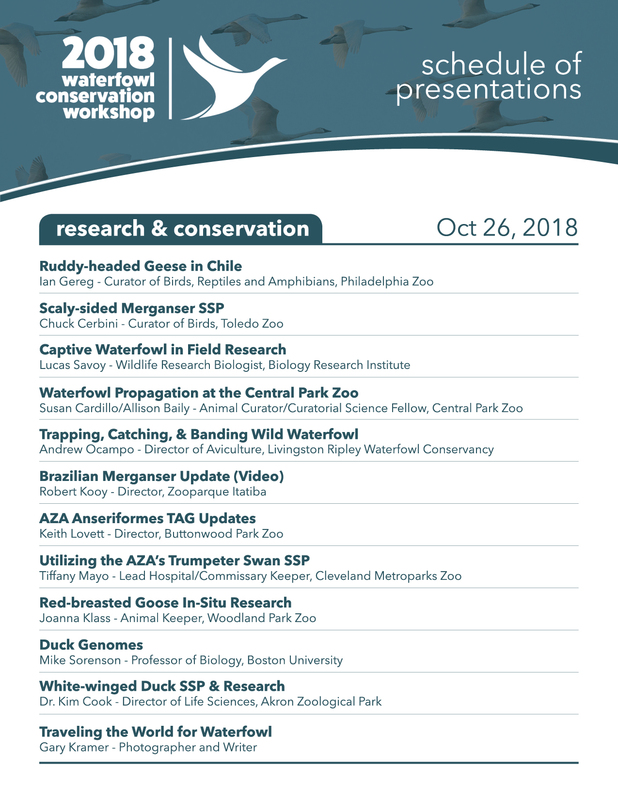 We’re pleased to announce the dates and locations for the 2018 Waterfowl Conservation Workshop! The workshop will be held from October 25-27, 2018 at the East Carolina Heart Institute in Greenville, North Carolina, and at Sylvan Heights Bird Park in Scotland Neck, North Carolina. We’ll post more information about the event as it becomes available.